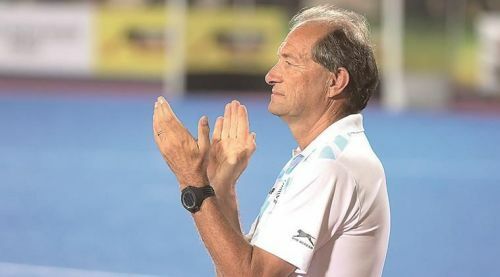 Kuala Lumpur, Oct 1 (PTI) Former India coach Roelant Oltmans was Monday appointed as the new head coach of the Malaysian men's national hockey team with an aim to take the side to the next level. "Welcome to Coach Roelant Oltmans @OltmansOltmans to the Malaysian Hockey Confederation after being newly appointed as the National Head Coach. Let's take Malaysian Hockey to the next level," the Malaysian Hockey Confederation tweeted. MHC President Datuk Seri Subahan Kamal confirmed Oltmans' appointment at a press conference here. Long-serving Stephen Van Huizen has not been appointed as an assistant coach and team manager. Oltmans' main priority will be to guide Malaysia to the 2020 Tokyo Olympic Games through next year's qualifying tournaments after missing out a golden chance to seal a direct berth through the Asian Games, where they lost to Japan in the final. Oltmans was sacked from the post of Indian men's team head coach in September last year after a string of unimpressive outings at the international level. Under the Dutchman's guidance, India rose to World No 6. He also served as India's High Performance Manager during his four-year tenure. Oltmans then took over as Pakistan coach in March this year but within six month after a string of unimpressive performances, was shown the door. But India and Pakistan's loss turned out to be Malaysia's gain as the MHC wasted no time in lapping up the Dutchman. The 64-year-old Oltmans is regarded as one of the best coaches in the world and is best known for guiding the Netherlands to the 1996 Atlanta Olympic gold and 1998 Utrecht World Cup title. Incidentally, another former India coach Terry Walsh, who worked under Oltmans when he was High Performance Director, is currently the Technical Director of Malaysia hockey.